Ten years ago, I started the process of writing Duty & Honour. It was a very different time and if truth be told, I was a very different person. Gaming, in the intervening years, has also developed … or at least, what I want from gaming has developed. As I turn my eye to revitalising Duty & Honour, I am mindful of why I wrote the game in the first place and what I want to do with the new version. If there was one thing that Duty & Honour was infamous for, it was page 92. That’s the page about women. At the time, with my head firmly in historical simulation mode, I felt full justified in writing and publishing a game that was accurate to the time period in terms of representation. Whilst I accepted that there were some women masquerading as men in the Peninsular, and some women on board ships of the navy, they were by far and away the exception. So mostly, games of Duty & Honour, played by the rules, had no women. Times change. I was stopped at a convention and royally chastised by a woman for my stance. I have had conversations around the subject with numerous people over the years. I have come to understand how issues like this affect people and how, really, they are quite minor in the wider scheme of things. So, I have looked for a solution that manages both sides of the equation – how do I create a game which is true to the history and the fiction that inspired it, but also appeals to a wider fanbase by being inclusive? Well, the answer lay in the strangest place: Night’s Black Agents. In Pelgrane Press’s game of modern vampire hunters, the spy genre is modified by different modes of game: Dust (techno-thriller), Mirror (paranoid double crossing) etc. These simple setting conventions allow you to swerve your game as you wish with the aid of the game. It’s a great idea so I’m going to steal it. Duty & Honour will have two modes: Historical and Fictional. In the former, the game set-up is as it is in the history books. In the latter, the shackles are officially off. Women redcoats? Absolutely. Women as the Captains of His Majesty’s fleet? Sure, why not. Josephine, Empress of France? Great idea! Another side of Georgian life that I have realised is very important to the stories that we tell about the characters of that time is the time they spend away from the battlefield. 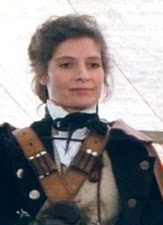 My favourite episode of Sharpe is Sharpe’s Regiment and I have written recently about how enamoured I am with the crossover potential of series such as Poldark. Having a home front aspect for the game also opens more potential for intrigue, romance and rivalry and that’s where great stories lie. I’ll admit that this factors in more for the more mobile characters within a game of Beat to Quarters than it does the soldiers in the field of Duty & Honour, but as I will inevitably roll over any changes made here into a revised version of the seafaring game, the infrastructure needs to be in place now. So how is that going to work? Well, I have a few ideas. In the first instance, Reputations are going to be made a little more granular, with renown, rivalries and loyalties being the words on the sheet now. In the second instance, missions will also be a little more granular with new mission ‘types’ being added, such as romance missions. Lastly I will be playing around with a new structure completely of ‘intrigues’ – ongoing mission-style objectives that plot years long games of cat-and-mouse between two people or institutions (such as a regiment or a ship). Beyond that, there will be a section in the book about handling the home side of things and possibly something about relationship triangles and love rivals etc. Yes, you’ll be able to play the bloody French! Maybe not immediately, straight from the get-go, but I hear your strange and deviant cries and I understand that there are a few people who take pleasure from losing… And yes, you’ll be able to very easily make the game about the American Revolutionary War or the War of 1812. How about the British army in India? Sounds good? Yeah, I agree. How am I going to do it then? Well, that’s the question! I think that the best way forward with this is to create a solid set of base rules and then supplement them with specific targeted expansions for a particular theatre or time period. Now, I can already hear long-time players of the game saying, ‘But yes, Neil, you said this before – what about Vive Le Empereur! ?’ And yes, that still plays on my mind a little as it was promised but never happened. How will I ensure that doesn’t happen again? Well, one thing I have learned is that there is a load of people out there that love these sorts of games and know their stuff. So, I’ll be looking out to recruit some (paid) conspirators to do the leg work on the research regarding the different areas – especially the American ones. More bodies, less pressure and therefore more output. At the time, back in 2007, I was proud of the Duty & Honour game system. The card-flopping mechanic worked exactly as I wanted it and every time I see the tension build as cards are overturned at the table, I smile a little inside. The Mission system worked as well and now there are loads of games that have the ‘win four before you lose three’ style extended resolution, and the Beat to Quarters ship-to-ship combat system has quite a few fans. However, some of it was, frankly, poor. Measures have little or no purpose expect as a descriptor. Reputations were woolly and in many cases required some linguistic acrobatics to apply. Promotion missions were strange. Lots of places to make improvements. Moreover, as I saw the game played I saw many many missions being won 4-0. Hands of 7-13 cards were the absolute norm, making success virtually guaranteed. Reputations compounded this – the higher the reputation, the more likely you would win, the less likely you would suffer an injury to the reputation and therefore be able to succeed. Challenges should be … well, a challenge! With this in mind, I am looking to ratchet things down a little. The main change is that Measures and Reputations will become points that can be spent to gain more cards – a finite resource during each Military Mission. These points will ‘regenerate’ at the end of a Military Mission. You will be able to tax your reputations- pushing that relationship for a couple of extra cards – but if you do so, they will only regenerate when you complete a Mission to do so. To accompany this, I intend to balance out the skills and traits available to ensure that players have a good chance of success, but not steamrolling challenges as happens now. Which leads nicely onto character creation! My aim here is options, options and options. Not just in increased options of backgrounds etc. but also in terms of the way that you create a character. The plan is to offer up three different models: quick-start pre-gens that can be individualised and ready in a few minutes, a system like the current one but with fixed skill allocations (i.e. you choose this option and get +1 to skill A and +1 to measure B), and a totally freeform system that simply gives a certain number of points to allocate across the piece. There’s a lot of work to be done to make sure this works. Nothing here is locked down in stone but this is my starting point. In the original game, I did everything except the art, which was done as the first ever gaming gig of the talented Mr Frain. I even created the logo! For this new revision I want to create something lovely. There’s room here to add the details and the advice that a decade of reflection and research can add. There are resources that could be added to make thing easier for both players and GMs. And there are peripherals that could easily be added to the game – especially those Duty & Honour playing cards! All of this, inevitably, raises the spectre of Kickstarter but that in and of itself has issues in terms of fulfilment and operations that I am going to have to get some advice about from people who have more experience in the thing. Regardless, I want the game this time around to look professional and to have real added value. So Many Ideas and Not One Iota of Clarity Entering Alt-History Mode!